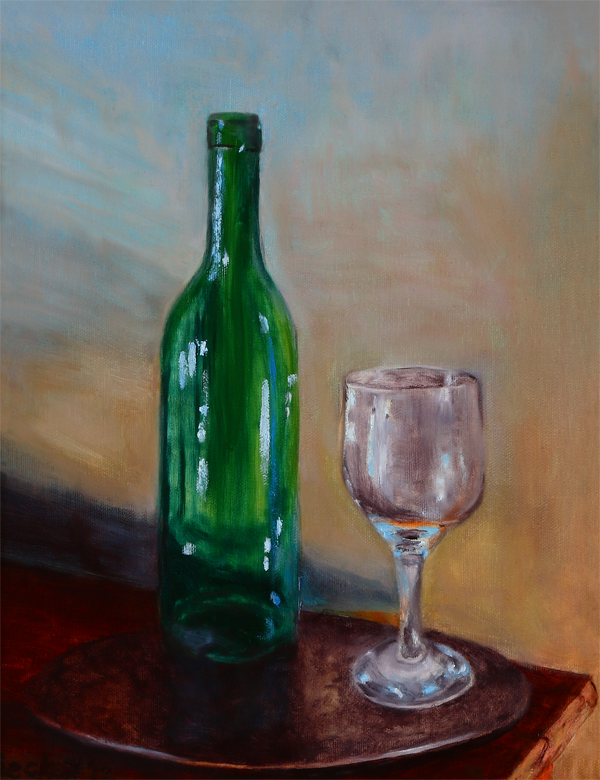 Still Life - Wine Bottle and Glass. Another experiment with composition and placed lighting. I'm happy with the results.